We strive to make your first experience in our practice the very best experience that you have ever had in a dental office. By slowing things down and giving you more of our time and individualized attention, we truly believe that we can do just that. 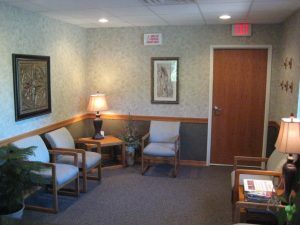 Rather than rush you back into the dental chair, your visit will start with a 30 minute interview in the comfort of our consultation room. 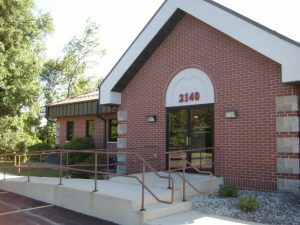 Here Dr. Brian will listen to your dental story and discuss the values and goals that you have for your mouth. Dr. Brian frequently says that this first 30 minutes is the most important thing that he does in the practice, and that it is also his favorite thing to do. It is through each unique story that Dr. Brian can begin to understand how best to help each person. People seek our help for many different reasons. Some feel that they have always tried to do the right things for their mouth, but continue to experience dental problems. Others have avoided coming to the dentist for many years because of one or more bad experiences. Whatever the story may be, our office is a safe place to share it. At the end of the interview, we will show you a short slide presentation. This presentation will demonstrate the progress of the three different types of dental disease and begin to help you understand your current level of risk for dental problems. With your permission, we will then bring you into our clinic to begin the exam. The examination follows a Co-Discovery format. This means that we look at everything together and learn about your mouth at the same time. Dr. Brian will describe everything that he sees, explain what it means and discuss possible causes. If at anytime you have questions, you may feel free to interrupt and ask. This process is all about you, and will be driven by your questions, concerns and values. At some point during the exam we will update any necessary x-rays and take some photographs of your mouth. These photographs are the best tool we have to help you see, for yourself, the condition of your mouth. We will not try to sell you dental treatment that you do not need or do not want.Toward this effort, we will likely invite you back for a consultation where Dr. Brian can view your photos with you and CO-CREATE with you a plan to be as healthy as YOU want to be.